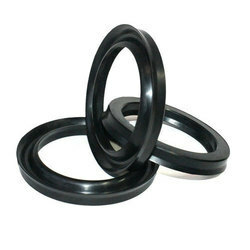 We are expert in providing products like Rubber U Seals to our clients. For protecting edges on panels, doors, glass, etc. It is also suitable for making a seal around glass in Aluminium window channels. The width of the section can be increased by bonding neoprene strip along side it or the panel thickness can be reduced by bonding a strip into it. We have carved a niche amongst the most trusted names in this business, engaged in offering comprehensive range of Rubber U Seal. Our clients can avail from us an exclusive range of Rubber U seal which is covered with rubber on different sides. Rubber U Seals is widely demanded by the clients for their supreme features like leak proof nature, durable and various others. Besides, this range is rigorously manufactured by the pool of our professionals who manufactured this range using optimum quality material. Our experts developed these products accordingly in compliance with the changing demands of the clients. 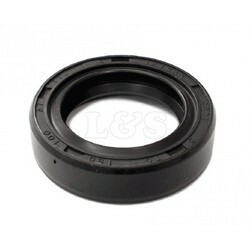 Made of best and quality checked input, offered U Cup Seal is made of best and quality embedded material. These offered products are made under guidance of engineers who hold much expertise in relevant work. Scratch resistant in nature, offered seal is flexible and easy to use.